There you have it. 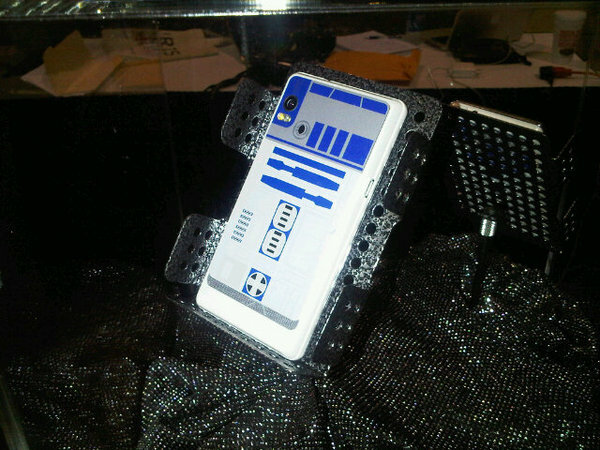 The special edition R2-D2 Droid 2 hanging out in the wild. From everything I’ve heard, the entire device was built to resemble an actual R2 unit and would mean this picture is as legitimate as it gets. Micro USB port – Check! Pure awesomeness – Triple Check! We know this version is going to launch on September 30th (online only) and will be featured at the upcoming Star Wars celebration, so we’re not surprised to have seen a glamour shot leaked. Anyone still want one or is it too over-the-top?